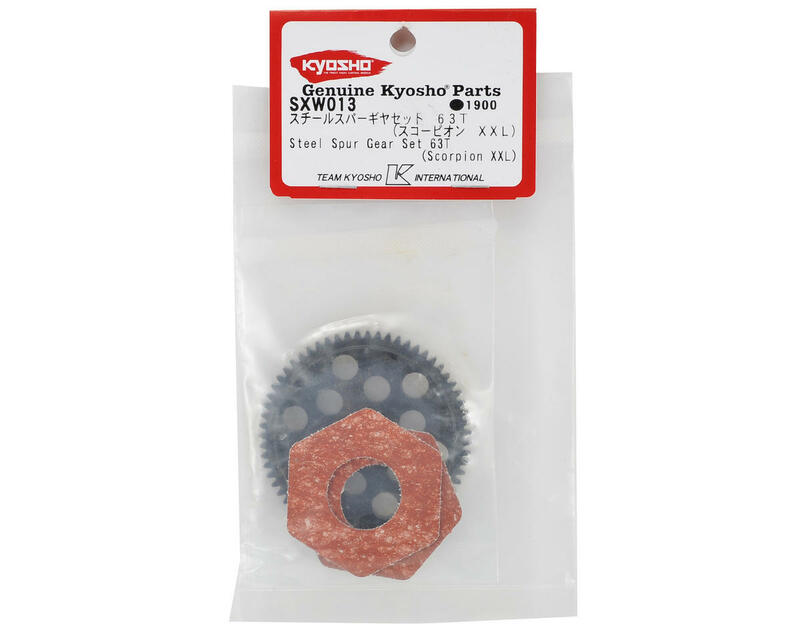 This is an optional Kyosho 63 Tooth Steel Spur Gear Set. This spur gear is a drop in upgrade that requires no modification and increases the durability of the drive gear. 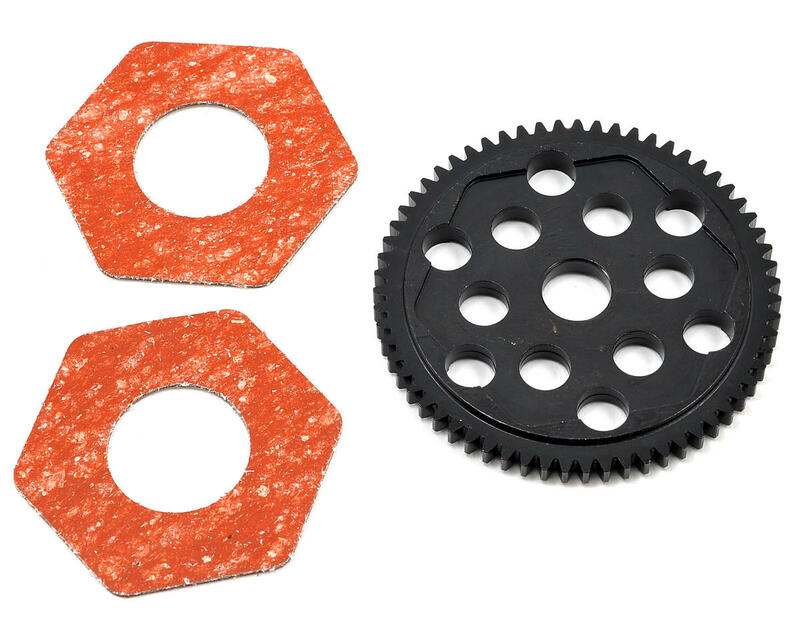 Package includes spur gear and two slipper pads.